This traditional carver board from J.K. Adams is the ultimate board for meat. It features grooves routed into the board's surface in a traditional "well and tree" pattern. These grooves are gently sloped to direct meat juices into the large well where they can be easily spooned out for gravies, sauces and au jus. 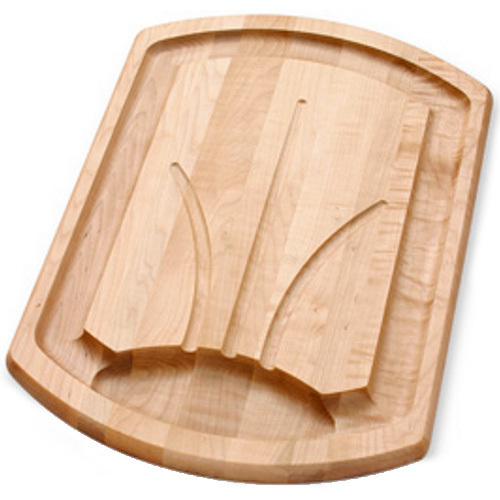 The perfect addition to any kitchen, this maple board is made in the USA.